When Tracy Hayward aligns her inner wisdom and untiring drive, she transforms industries and the people in them. Long before she established a thriving culinary company, The Perfect Purée of Napa Valley, this visionary and pragmatic woman knew that success is measured by far more than financial reports. Her personal story evolves from a journey that began more than 25 years ago, when she created her business from the back bedroom of her parents’ home as part of a search for her own identity. With the arrival of her middle years, it took on deeper meaning as Hayward began re-engineering herself by looking within and asking bigger questions about life. Hayward is generous with her hard-earned wisdom, offering both the people she works with and other entrepreneurs an enlightened model of leadership that derives from insight, authenticity and well-being. This centered business approach inspires Hayward’s talented and seasoned team to achieve significant results. Their care for and pride in The Perfect Purée of Napa Valley is clear in just one taste. From the fresh fruit blends Hayward introduced to chefs and mixologists across six continents to her insistence on sound practices and flawless quality, her company has earned a loyal following and a reputation for innovation and integrity. Hayward’s “3P plan—Patience, Perseverance and Prayer,” not only sustains her devotion to her inner voice, it was also essential to her early belief that she would be shown a vocation suited to her innate talents. With a degree from the School of Journalism at the University of Southern California and training in culinary arts at La Varenne Ecole de Cuisine in Paris, France, Hayward was uniquely positioned to research a complex business and create an artisanal food preparation unlike any U.S. product line at the time. She made a leap of faith, using capital from the sale of her home for seed money and turning her parents’ spare bedroom into headquarters. Her grandmother’s wooden card table was both desk and conference table. She launched The Perfect Purée in 1988. Though she follows in the footsteps of her entrepreneurial father, grandfather and great-grandfather, Hayward’s business acumen is self-taught. For 18 months she immersed herself in industry essentials: distributor networks, suppliers, product development, processing, distribution, equipment, and packaging facilities. Soon, she was test marketing eight flavors. Hayward admits, “I was so busy developing the purees and finding production facilities and suppliers, that when I realized I would have to sell the product myself, I became petrified.” Once more, she called upon her inner resources to work through the impasse. Hayward sold her frozen purees out of the back of her “delivery truck,” a Volvo station wagon. She held meetings with powerful stakeholders at her card table. By year seven, The Perfect Purée was profitable. Hayward was making a salary and had employees. During a deep recession that took down many of her compatriots, she forged ahead, undaunted. In 1997, she relocated the company to California’s edenic wine country, re-establishing it as The Perfect Purée of Napa Valley, LLC. Now selling 40 flavors of premium purees, specialties and blends, The Perfect Purée of Napa Valley enhances the enjoyment of food and beverages for foodservice and culinary professionals around the globe. Chefs, pastry chefs, bakers, mixologists and other culinary masters develop signature gastronomic works of art using its unique flavors such as prickly pear, white peach, pink guava, roasted red pepper, tamarind and yuzu. “Our customers are native geniuses in their own right. If you were a visual artist, you’d want to have your pastels handy. Our reliable purees help them to create, play and make people happy,” Hayward says. Known worldwide for their superb quality, her products are natural, free of preservatives and artificial ingredients, thoughtfully sourced and sustainably packaged—claims that producers of syrups with synthetic flavor additives cannot make. Their customer base boasts longstanding partnerships with acclaimed fine dining restaurants, resorts and hotels, bars cruise lines and specialty gourmet manufacturers. Today, The Perfect Purée of Napa Valley achieves annual double-digit growth and continues to develop new products and loyal customers. Twenty-five years after starting her company, Hayward had an aha moment that elevated her life and career: her buttoned-up lifestyle and biases were no longer relevant. Shedding assumptions and traditional business attire, she elected to wear life and her wardrobe more loosely. Inspiration, connection with others and the planet, and remarkable puree flavors continue to blossom. The mantra remains her creative impetus as she moves in a new direction. 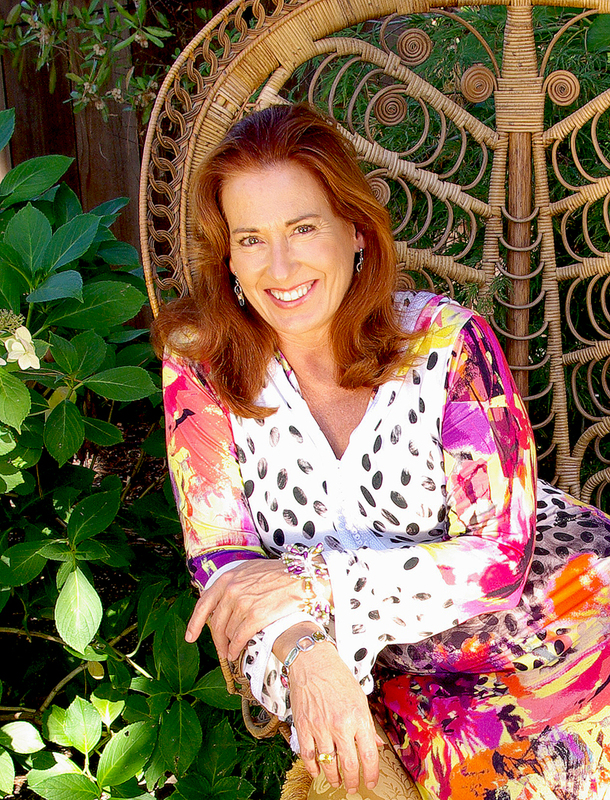 With her company, Hayward Enterprises Inc. (HEI), she advocates nurturing the mind, body and spirit to effect change. During a recent restorative time-out, Hayward experienced profound insights, hearing the call to renew her energies with creative projects. She revisited her joy for painting—with profound results. Letting go of formal techniques, she opened herself up to spontaneity, which freed her to create an unexpected and ethereal book of art and poetry. Hayward named her self-published book, Expressions From My Cosmic Origin and claims it was written in quiet places while enjoying extended periods of time streaming in higher consciousness. She says her poetry and art came to her like puzzles or exercises to better attune her mind to the mind of God. She shares her paintings and poetry on her website SurrenderToYourSenses.com. Copyright © 2018 by Hayward Enterprises Inc.
All rights to text and illustrations are reserved by Tracy Hayward.